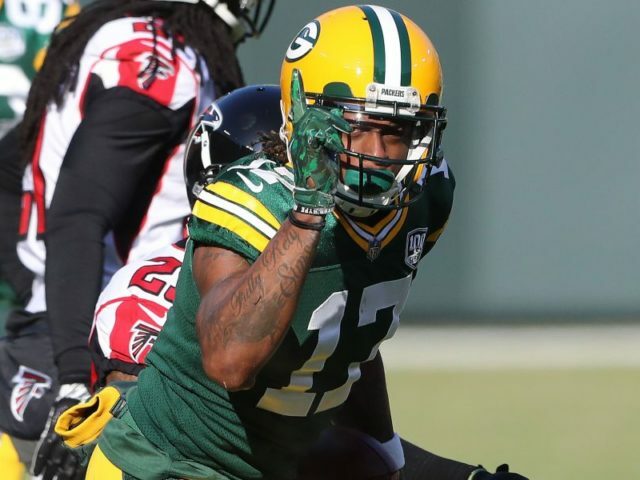 A week after the Green Bay fired Mike McCarthy, the Packers found a rhythm on offense and beat the Atlanta Falcons 34-20. It was definitely a feel good win in interim head coach Joe Philbin’s debut. They mathematically kept their slim playoff chances alive and demonstrated some heart. In a week that was anything but normal for the players and coaches alike, Joe Philbin deserves a lot of credit. He may not get the head coaching job permanently when the season is over, but he was able to get this team focused for one week. Whether that means that energy will carry over to next Sunday against Chicago, time will tell. Teams who fire their head coach during the season usually see an uptick the following week, it doesn’t usually last the remainder of the season. The real test for this team will come against Chicago at Soldier Field, cause after that they will play the New York Jets and finish with the Detroit Lions. The game didn’t start out like Philbin probably hoped it would. He used both of his challenges in the first 2 minutes of the game. He became the first NFL head coach to do so. Granted, he did lose both calls, the plays definitely warranted him throwing the challenge flag. This also helped send a message to the players, that Philbin was going to fight for them. Philbin turned the clock back to 2011, when he changed personal on nearly every single play during the first drive. He also went with some quick releases plays to get the ball out of Aaron Rodgers hands a little sooner. He also went some wide receiver slants that we have not seen in awhile. This also helped with tempo and keeping the chains moving. The Packers offense managed 23 first downs and went 7 for 13 on third down. Not exactly lighting the world on fire, but considering what they have been doing all season, 7 for 13 on third down is an improvement. Fans also saw that Rodgers smile during the game that had been missing all season. Rodgers and the offense seemed to have good tempo and they were not running the clock down to zero every play or having trouble getting the play in. It’s hard to say if the tempo was a result in the team making a few more plays than usual or something else. There were many factors in play that contributed to the better tempo offensively. Rodgers was able to get the offense to the line sooner, scan the defense, make adjustments and still snap the ball with 5 – 10 seconds remaining on the clock. That is even with Philbin changing personal on nearly every play. The Packers only put up 300 yards on offense. That is nothing to write home about and is not going to turn heads around the NFL. Their offense took a snap in a positive direction, after numerous weeks of being absent. For the first time this season, this Packers offense resembled a cohesive, structured unit. The defensive unit continues to improve and anchor this team under Mike Pettine’s guidance. The unit had a pick 6 and a fumble recovery. Both by Bashaud Breeland. Clay Mathews also had a huge sack late in the game. Rookie Jaire Alexander continues to reward the Packers coaches and decision makers for the confidence they have him. No matter who the Mark Murphy and Brian Gutekunst interview to be the next Green Bay Packers head coach, that person should have a conversation with Mike Pettine about retaining his services. Chicago will present Philbin with his toughest challenge of the rest of the year. Its’ all about beating Chicago. This entry was posted in Anthony Haag, Packers 2018-2019 Season and tagged 2018 Green Bay Packers, Atlanta Falcons, Atlanta Falcons vs Green Bay Packers, Green Bay Packers. Bookmark the permalink. Anthony Haag – have you ever heard of bullet points or titles at the beginning of paragraphs? Your scripts take too long to read vs. the information gained.